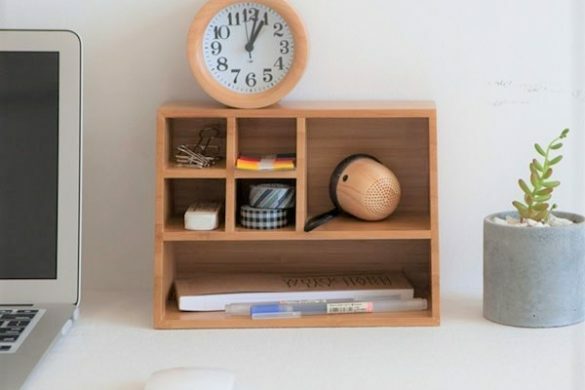 Bring the mystery and beauty of the desert to your apartment, office or home this summer with unique cactus and succulent decor. Cactus and some succulents can appear untouchable and threatening, yet they hold a certain beauty and mystique that entices onlookers to get close. The prickly and fruit bearing cactus is a novelty and reminds people of deserts in Mexico and the Wild West. This American native plant symbolizes warmth, protection and endurance, and is a great decor addition to any home. 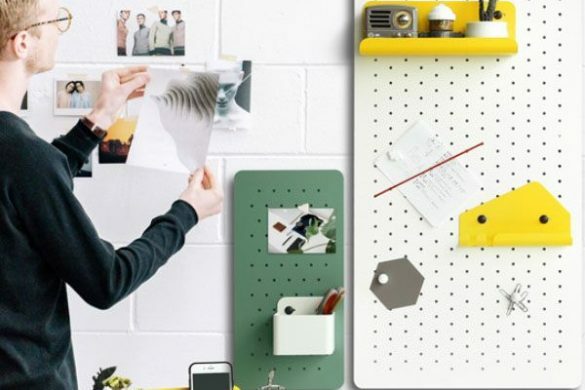 Want to add some cactus and succulent mystique in your life but don’t know where to begin? Read on and see different types of unique cactus decor you can use to transform your home into a mystical desert this summer. Cozy and soft, this Cactus Throw Pillow is a cactus you can hug without the pain! This large dark green pillow goes perfectly with your Southwest, tropical or boho-chic home decor. 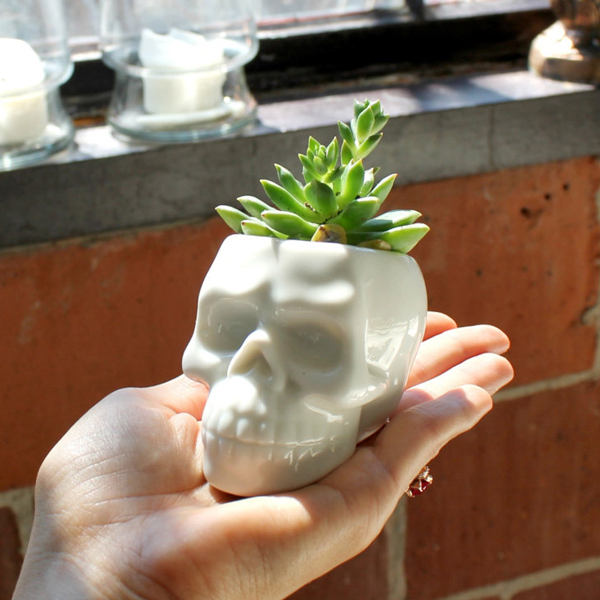 Great for nature lovers, it looks fresh next to indoor gardens of succulents or ferns. 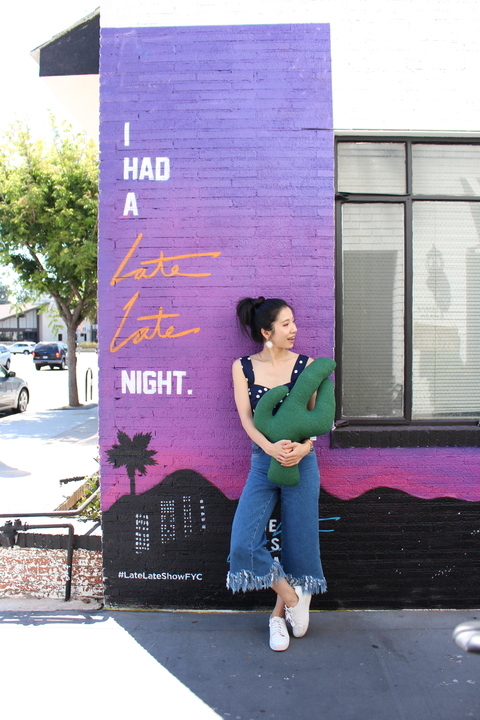 LA based Instagram influencer Crystal Hsu is all snuggles with her Cactus Throw Pillow! 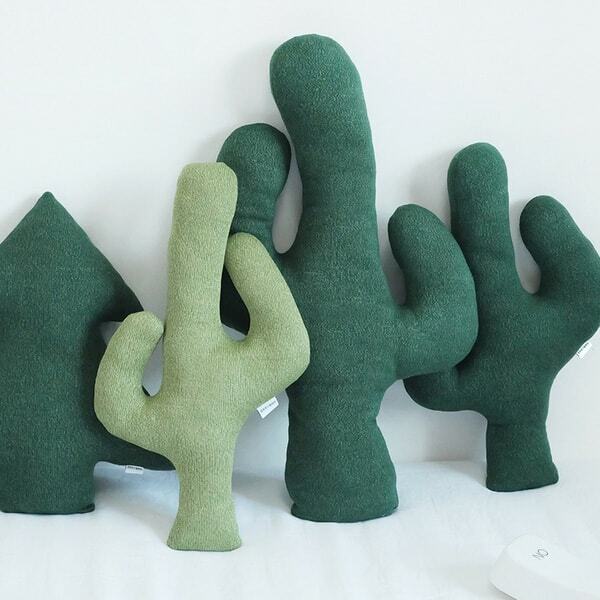 This unique cactus decor pillow would look great on your couch or bed, and both adults and kids will want to hold on to it! 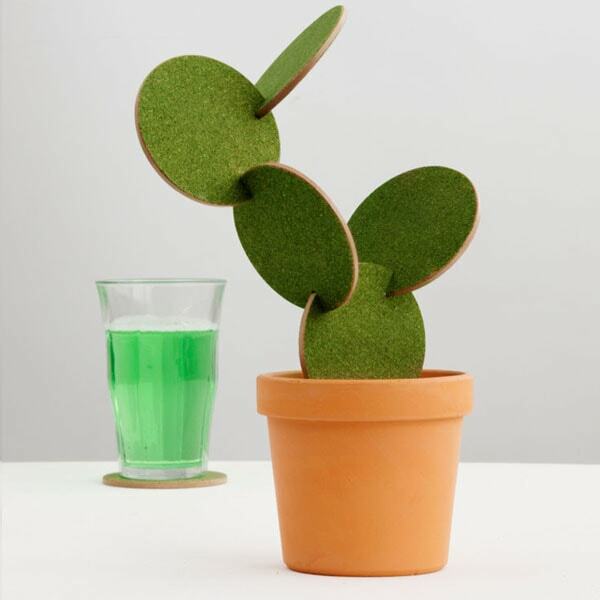 Place this Cactus Interlocking Coaster set in the middle of your coffee table for a fun and quirky desert vibe. Useful and decorative, this construction set allows you to build your own cactus sculpture. This set is made 100% out of natural materials and comes with 6 coasters and a flower pot storage/display stand. 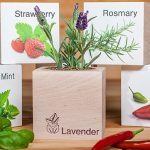 It’s a creative gift for plant lovers that doesn’t require much care! Always wanted to brighten your home with little cactus or succulent but could never manage to keep it alive? 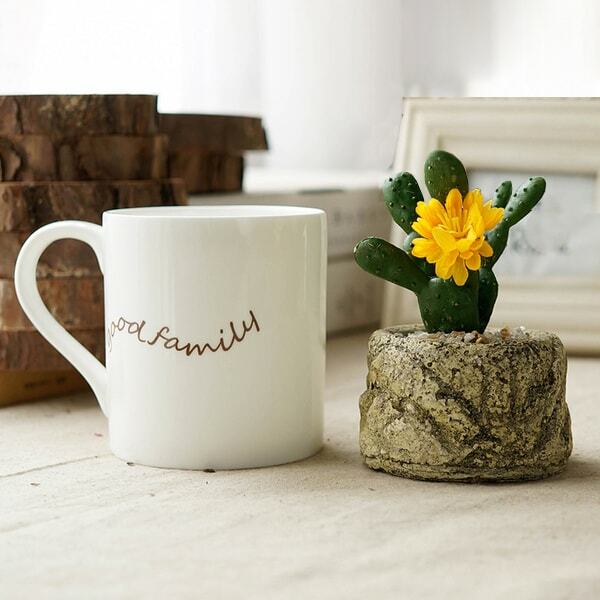 This Faux Cactus Plant give your favorite space that rustic, desert feel without the upkeep! Made to look like a time-worn rock, handcrafted resin containers come alive with the faux desert cactus. 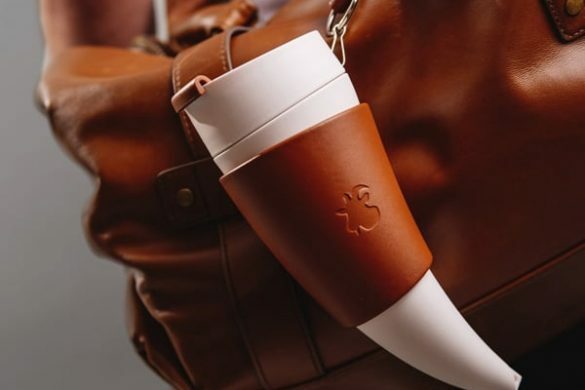 Give this unique gift to the friend that’s known for having bad luck with plants. If you’ve had great luck with cactus and succulents, plant your next batch in these stylish cactus/succulent planters. 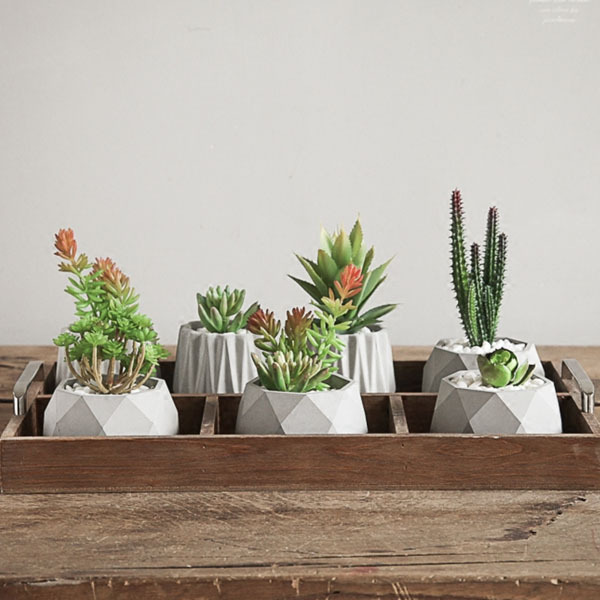 These modern tabletop planters perfectly echo and enhance the simple forms of the mysterious plants. Each planter is designed so that you can carefully care for your cactus or succulent. 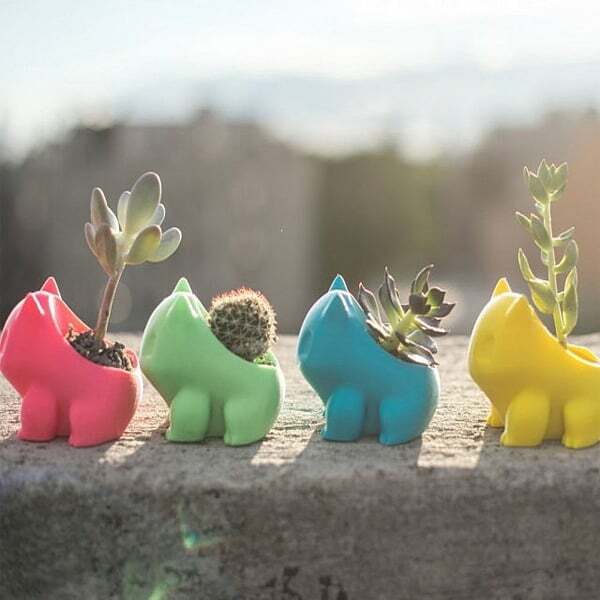 Add some extra life and fresh air in your home, and plant your cactus or succulent in these quirky, cute and elegant planters. 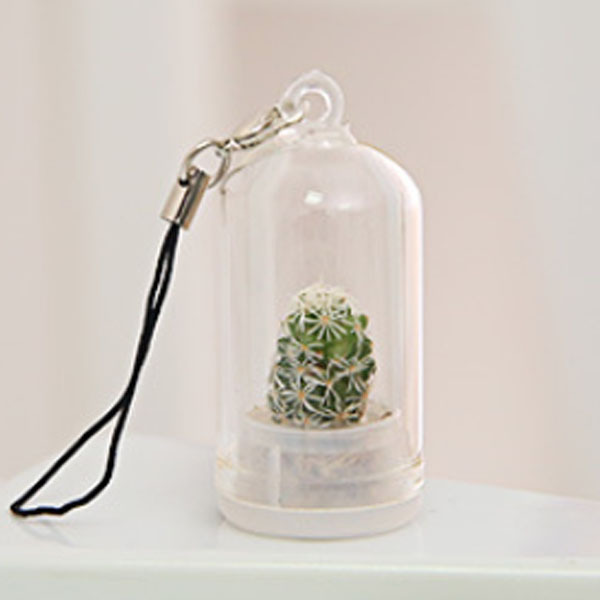 If you have a small living space but still want to have the desert ambiance of the cactus, or you just like miniature things, our Miniature Plant Keychain i is the perfect plant for you. 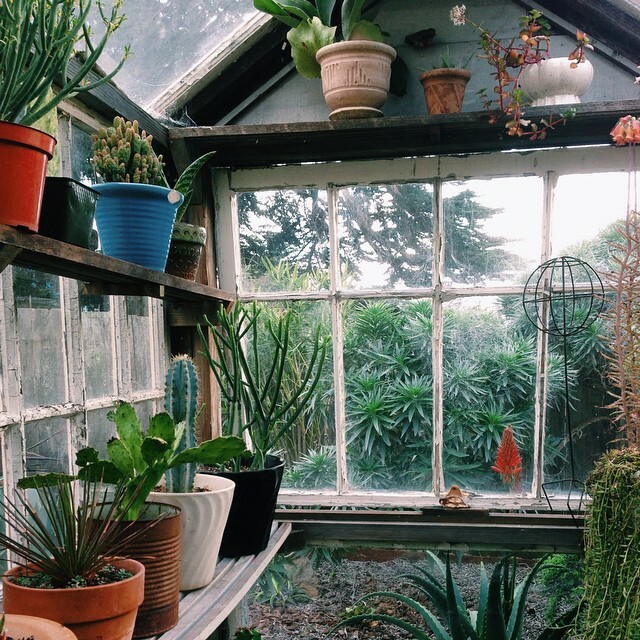 A wee little succulent grows inside of this tiny capsule greenhouse. Give it a few hours of light each day and a few drops of water once a month. After about 8-12 months it’s ready to plant in a flower pot. 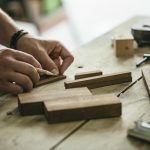 Find more plant tools, decorations and unique gifts here, and make sure to catch our DIY Terrarium blog!